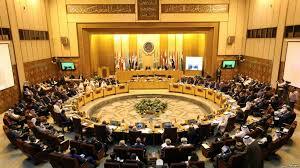 The Arab League meeting on Tuesday in Cairo was overtaken by the Gulf crisis as the Qatari delegates and the delegates of Saudi Arabia, United Arab Emirates (UAE), Bahrain and Egypt traded accusations. The meeting in the Egyptian capital kicked off with a direct rebuke addressed to the Saudi-led quartet by Qatar’s Foreign Minister of State Sultan bin Saad al-Muraikhi in a speech, although the Gulf crisis was not on the agenda, Middle East Monitor (MEMO) reports. “Even the animals were not spared, you sent them out savagely,” Muraikhi said, referring to the thousands of camels left stranded on the border between Qatar and Saudi Arabia after borders were closed. The Qatari official also called the Saudi-led quartet “rabid dogs”. Qatar is facing regional isolation after Saudi Arabia, UAE, Bahrain plus Egypt cut ties with the small monarchy on June 5. The four also severed air, sea and ground links with Doha. The group, led by Saudi Arabia, has accused Qatar of sponsoring terrorism. Doha has denied the accusations saying that the aim of the isolation is to strip the small monarchy of its sovereignty. The four have also insisted that Doha scales down its relations with Iran, as part of conditions to renew relations. Muraikhi further angered Qatar’s critics when he said that Iran is an “honorable country” and when he underlined the renewal of ties with the Islamic Republic. Saudi Arabia hit back through the voice its Arab League envoy, Ahmed al-Qattan, who said “Congratulations to Iran and soon, God willing, you will regret it,” MEMO reports. The showdown worsened further as Muraikhi pointed out that Saudi Arabia was looking to topple Qatar’s ruler and replace him with Foreign Minister Sheikh Mohammed bin Abdulrahman al-Thani; the only Qatari official who has met with Riyadh since the beginning of the diplomatic spat. Sheikh Mohammed bin Abdulrahman al-Thani negotiated Qataris’ participation in the 2017 Hajj after the Saudi authorities banned all Qatar-registered airplanes from its skies. Egypt and Saudi Arabia blasted the claims adding that they were unacceptable. “We all know Qatar’s historic support for terrorism and what has been provided for extremist factions, and money in Syria, Yemen, Libya and Egypt that have led to the death of many of Egypt’s sons,” said Sameh Shoukry, Egypt’s foreign minister. Written by: KanelkaTagba on September 13, 2017. Posted by KanelkaTagba on Sep 13 2017. Filed under Gulf News, Headlines. You can follow any responses to this entry through the RSS 2.0. Both comments and pings are currently closed.